Remember those super cool binders with the Velcro close and folders inside that smelled like promise? You know what I mean: With this binder, you just knew this would be the school year everything would be organized, and you wouldn’t lose your math homework in the school parking lot. I hadn’t felt that way for decades until I discovered One Note. And by “discovered,” I mean that the fine folks at Microsoft, who have hired me as a brand ambassador, kept on insisting that I take a look at their planner and note-taking software. But I resisted, because I was so sure that my system was working so well for me. Then I started to play with Microsoft One Note, and suddenly, I felt like I’d just gotten a super cool binder all over again. So if I’m working on writing a magazine article, I can add screen captures, links to sources, notes from emails, Excel charts, audio, video and more. 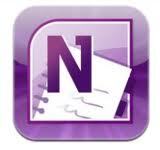 If I’m working on organizing an event with other parents, I can invite them to add to and edit the digital notebook. I’ve started by plopping in my To-Do list with images, links and notes from all over the place into one file which I can access from anywhere, on my desktop, my laptop or my Droid, for free through Sky Drive. It’s another way Microsoft Office helps keep me organized. So go ahead and play on One Note and see for yourself. You, too, may feel like you just got that super cool binder all over again. Note: As a Microsoft Brand Ambassador, I was compensated for this post, meaning I get paid to share the cool things I love.